Taryn Rayner has been keeping a watchful eye over every detail of the build at Clarence House and Mulberry House, her first development projects. Sharon Chilcott joins her for a viewing. 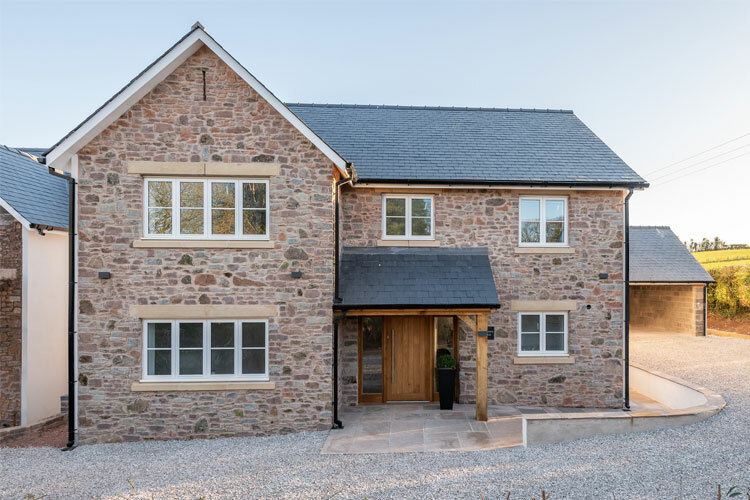 Modelled on her own stylish and contemporary family home, Taryn Rayner is currently overseeing the final, finishing touches to two smart five-bedroom executive houses in the idyllic Monmouthshire village of Penallt. Now on the market, Clarence House and Mulberry House are the first to be constructed by Taryn’s new development company, SG Rayner Homes. Situated alongside a country lane in Penallt, in the Wye Valley Area of Outstanding Natural Beauty, they are crafted to the same high standards as Taryn’s own stunning, new build property. 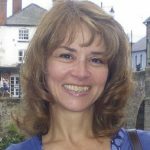 In project managing her own build, Taryn gathered together a group of skilled and trusted contractors who are now part of the team she is employing to develop carefully designed and crafted bespoke housing projects. No two properties that SG Rayner Homes builds will be the same and depending on when clients get involved, they can personalise their new home and choose from a comprehensive range of upgrades. There are still opportunities for purchasers to have some of the final detailed decisions on the first two properties. Behind their attractive, traditional stone-built facades these two distinctive, detached properties have a contemporary open-plan design, sophisticated modern styling and incorporate the latest technology, such as a Sonos sound system, built-in TVs and wiring for electric gates and CCTV. Whilst the two houses are a mirror image of each other in terms of layout, Taryn has taken care to differentiate them in the way they are finished. It’s a finish she is justly proud of and one that’s been thought through to the last detail, sourcing from quality suppliers, many of them local. The properties offer a country lifestyle with easy access to the motorway network and so to the city life of Cardiff, Bristol, Birmingham and beyond. Penallt itself is a thriving community of around 200 houses, only a short drive south of Monmouth where there are schools, theatres and a range of other facilities. Penallt’s village hall hosts regular social events, film nights and clubs, including a tennis and cricket club. There’s a lovely village park at Babington Meadow, a venue for the annual autumn Art in Penallt and sometimes touring theatre companies. The two local pubs are the Inn at Penallt and The Boat, in its pretty riverside location alongside the Wye. There’s a handy village shop and another pub, The Lion Inn, in nearby Trellech and it’s not far to the renowned Whitebrook Michelin Star restaurant. In Clarence House, a reception hall with a central staircase leads to a spacious kitchen/dining/living area with two sets of bi-fold doors to a south-facing patio separated by a low wall from the gardens beyond. The stylish, well-planned kitchen incorporates craftsman-made, Shaker-style wooden base and wall units, hand-painted in Farrow & Ball Dovetail paint. A large central island, with industrial-style lights over, is painted in a contrasting colour – Hague Blue. Chic, clean lines are achieved by the use of a beautiful quartz for the worktops and upstands and for the splashback behind the Rangemaster dual fuel cooker. The kitchen includes integrated appliances – a dishwasher, microwave and wine cooler and there is space allocated for a double fridge freezer. Off the kitchen is a utility room, which has stable doors leading to a driveway at the side of the property, making it easy to unload a bootful of shopping. The driveway leads to a separate double garage with a full width electrically operated wooden door. The utility room has a butler sink, a handy floor-to-ceiling cupboard and hand-made units which match those in the kitchen. Doors have also been built to spaces left for an inbuilt tumble drier and washing machine. Taryn has painted the units the same Dovetail colour as those in the kitchen, but has varied the appearance with the use of oak worktops and upstands. Next door, in Mulberry House, she has achieved a different but equally stylish look and feel by using large floor tiles instead of the parquet. Here, whilst the kitchen follows the same layout, the units are painted in Farrow & Ball Charleston Gray, with the central island highlighted in London Clay. In both properties, the downstairs accommodation includes a cloakroom, which in Clarence House is presented with stylish, wood panelling painted in Farrow & Ball Dovetail to match the kitchen units. It incorporates an elegant, bespoke quartz wash basin, of a style which is used throughout all the bathrooms and en-suites. Both properties also have a family room, which could also be used as a study, which incorporates a built-in TV (there’s also another in the kitchen/living/dining room). This room is fitted with a carefully chosen grey carpet, which is carried throughout the upstairs. The oak staircase from the panelled reception hallway is also carpeted and leads up to five bedrooms. The master bedroom has built-in wardrobes and an en-suite wet room and there’s another double room which also boasts its own en-suite wet room. Three further bedrooms are served by a family bathroom with a bath and shower. There is electric underfloor heating in all the upstairs bathrooms and the rest of the house has LPG gas central heating, controlled remotely. Downstairs has underfloor heating throughout. For the bedrooms, Taryn has chosen smart grey radiators to match the décor. It’s just one example of her sense of style and attention to the finishing touches, which is evident throughout both properties. “For me the details are really key,” she says. 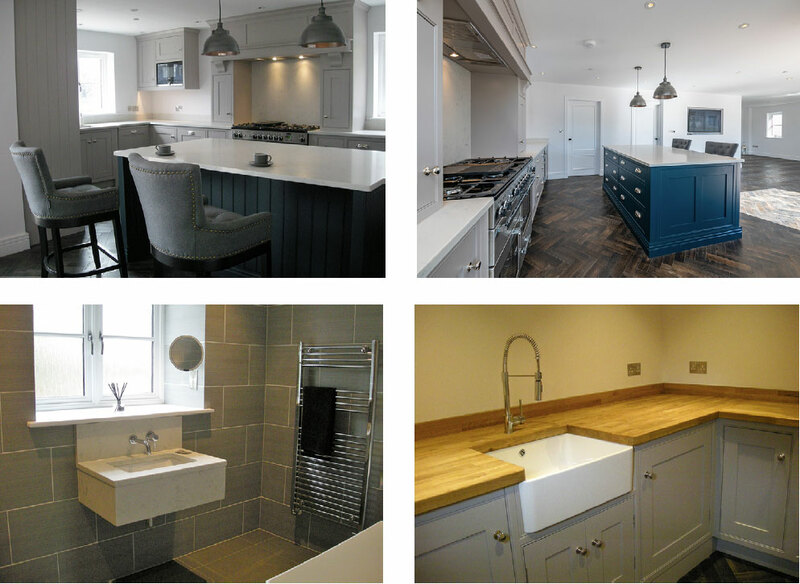 The quartz work tops used in the kitchens and the bespoke quartz basin units in all the bathrooms are from Go For Granite Ltd, The Stables, 50 Kinnersley, Severn Stoke, Worcestershire. To find out more about living in Penallt, visit the village website www.penallt.org.uk.